Have you ever tried a nootropic supplement and been disappointed with the result? The latest racetam or herbal supplement was supposed to provide better focus and memory. But it was a dud. At first there is the temptation to blame the supplier for a bad product. Or you may think that nootropic just wasn’t for you. But chances are the product was pure. And under different circumstances may have worked very well for the benefit you were looking for. The problem is often a lack of support by simple vitamins and minerals our bodies need every day. Nutrients that are fundamental to our health and how our brain works. For example, a recommended stack suggests using CDP-Choline or Alpha GPC to provide the acetylcholine your brain needs for a racetam like Aniracetam to work. But acetylcholine requires Vitamin B1 (thiamine), and Vitamin B5 (pantothenic acid) for synthesis. And Vitamin C induces the release of acetylcholine from synaptic vesicles on neurons. Which means Vitamin C is required for neuronal signaling transmission. Aniracetam did not provide the promised benefit because your body did not have an adequate supply of Vitamin B1, B5 and Vitamin C.
Another example, you try tryptophan with the hope of increasing and getting the benefits of more serotonin. 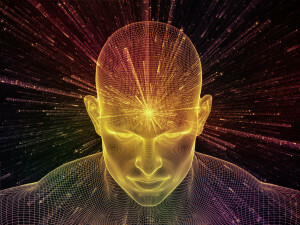 But you will not experience the benefit of this nootropic without adequate levels of Vitamin B6 (P-5-P) which is a cofactor and required for the synthesis of serotonin. 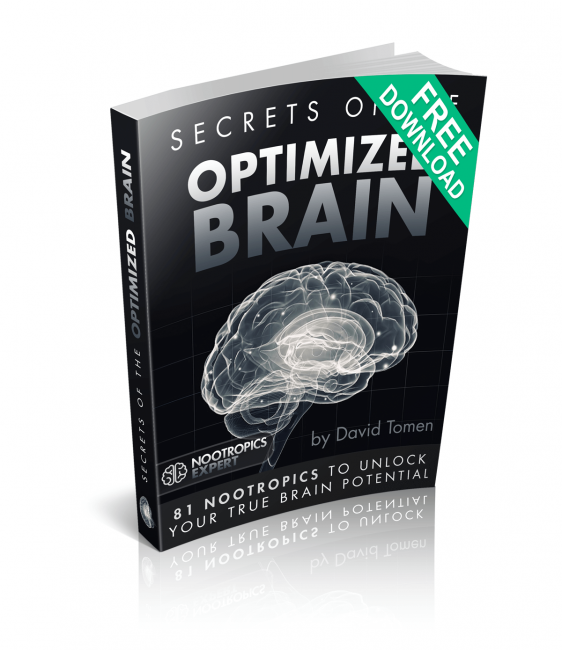 In this post we investigate the vitamins that are essential to a fully optimized brain. And why a quality multivitamin may be the key to getting better results from the nootropic supplements you use daily. For the B-Vitamins – How Much Is Enough? Vitamins are a group of organic compounds essential for human life but are not synthesized in your body. So, you need to get adequate amounts of all 13 vitamins from your diet, or as a supplement. We require four fat-soluble vitamins A, D, E and K. And nine water soluble vitamins which include Vitamin C, and the eight B-Vitamins; thiamine (B1), riboflavin (B2), niacin (B3), pantothenic acid (B5), pyridoxine (B6), biotin (B7), folate (B9) and cobalamin (B12). Although most vitamins in your diet are derived from plants, you often get them from higher up the food chain including meat, dairy and eggs. But even the most dedicated biohacker would be hard pressed to get the vitamins and minerals needed from their diet. The problem starts with our food supply. Our body and brain require replenishment of vitamins and minerals every single day. Especially the water-soluble vitamins that our bodies cannot store. A perfect, brain-healthy diet demands we supplement with a high-quality multivitamin. The remainder of this post investigates exactly what each vitamin does in our brain. And why your nootropic stack is not complete without a full compliment of these essential vitamins. Vitamin A is a fat-soluble vitamin and potent antioxidant. It comes in two forms; pre-formed Vitamin A (retinol, retinyl ester) which is found in meat, poultry, fish, and dairy products and is used directly by your body. Pro-formed Vitamin A (carotenoids, beta-carotene) is found in fruit and vegetables and must be converted in your body to retinol and retinoic acid before it can be used. In your brain, Vitamin A is involved in long-term potentiation which affects memory formation. And long-term depression which affects mood. Retinoic acid is involved in neurogenesis, neuroplasticity, cell differentiation, synaptic signaling[iii] and inhibits beta amyloid deposits. Because Vitamin A is fat-soluble, your body can store excess amounts. And these levels can accumulate. Excess ‘pre-formed’ Vitamin A can be toxic. But excess ‘pro-formed’ Vitamin A (i.e. beta-carotene) does not seem to be a problem. Vitamin A deficiency is not much of a problem in our Western society because one sweet potato for example offers 28,058 IU’s of this vitamin. And ½ cup of raw carrots provides 9,189 IU’s. Recommended daily dosage of Vitamin A are given in mcg of retinol activity equivalents (RAE). But every multivitamin I’ve come across lists Vitamin A in International Units (IU’s). The bottom-line for Vitamin A – you absolutely require this vitamin for optimal brain health. 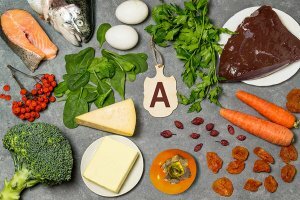 But unless you do not eat meat, dairy, vegetables or fortified processed foods, it is highly unlikely you are deficient in Vitamin A. But you have no reason to get stressed if your multivitamin contains 6,000 IU’s of beta-carotene. Vitamin B1 (Thiamine) was the first B Vitamin to be discovered. Hence, its name Vitamin B1. You get thiamine from eating beef, brewer’s yeast, legumes (beans, lentils), milk, nuts, oats, oranges, pork, rice, seeds, wheat, whole-grain cereals, and yeast. Thiamine is directly involved in the citric acid (KREB) cycle that provides adenosine triphosphate (ATP) energy for your mitochondria. Thiamine also plays a role in maintaining optimal levels of the neurotransmitters glutamate, and gamma–aminobutyric acid (GABA). And contributes to the production of the enzyme pyruvate dehydrogenase (PDH) which is essential in making the neurotransmitter acetylcholine. Even “mild thiamine deficiency” can turn your world upside down. Thiamine supplementation boosts attention, energy, and motivation. And a reduction in brain fog along with increased mental clarity and less anxiety. Those dealing with fibromyalgia and nerve pain report a significant decrease in pain levels. Most clinical studies use thiamine doses from 300 up to 1,800 mg per day. The bottom-line is thiamine dosing is completely up to you. No side effects are reported even at higher doses. Recommended nootropic dosage of Vitamin B1 (thiamine) is 50 – 100 mg per day. Or you can use Sulbutiamine, a fat-soluble synthetic version of thiamine which is much more bioavailable. Recommended dosage of Sulbutiamine is up to 1,500 mg per day. Some pre-formulated nootropic stacks use Benfotiamine which is a fat-soluble synthetic S-acyl derivative of thiamine. It is much more bioavailable than the Thiamine HCI found in many lower quality B-Complex vitamin stacks. [vi] Dosage of Benfotiamine is up to 900 mg per day. FAD is required to produce pyridoxic acid from Vitamin B6 (Pyridoxine) which is the form of B6 your body can use. And is required to convert Vitamin A (retinol) to retinoic acid that your body can use. FAD is required to convert tryptophan to Vitamin B3 (niacin). FMN and FAD are also cofactors in the metabolism of fatty acids in brain cell membranes, the absorption and utilization of iron, and the regulation of thyroid hormones. Riboflavin is an essential part of ATP production in mitochondria. And research has shown that migraines are at least in part caused by impaired mitochondrial function. The best food sources of Riboflavin are meat, organ meat, cheese, eggs, green leafy vegetable, beans and some nuts and seeds. Anti-psychotics, and anticholinergic medications interfere with the body’s ability to absorb Riboflavin or reduces its effectiveness. Tricyclic antidepressants reduce Riboflavin levels. And drugs used to treat certain cancers can interfere with how your body uses Riboflavin. Vitamin B2 (Riboflavin) recommended dose for adults is 1.1 – 1.3 mg per day. It is usually included in multivitamins and B-Complex vitamins. And sold separately in 25, 50 and 100 mg tablets. Riboflavin is generally considered safe, even at high doses. And does not seem to cause any serious side effects. Very high doses could cause itching, numbness, burning sensations, yellow or orange urine and sensitivity to light. Vitamin B3 (Niacin, nicotinic acid) is a precursor to the coenzymes nicotinamide adenine dinucleotide (NAD), and nicotinamide adenine dinucleotide phosphate (NADP). NAD is needed to catabolize fats, carbohydrates, proteins and alcohol. And NAD is involved in cell signaling and DNA repair. NAD also converts to NADH which is the primary carrier of electrons in the transfer of food from your diet into energy. This energy is stored as adenosine triphosphate (ATP). Niacin affects cognitive function by stimulating the production of dopamine, norepinephrine and serotonin. [xi] These neurotransmitters are involved in memory, learning, cognition, recall and mood. Niacin naturally occurs in foods like eggs, fish, meat, milk, peanuts, mushrooms, green vegetables, and yeast. Your body also naturally synthesizes niacin from the amino acid tryptophan you get from food. This synthesis requires Vitamin B6, Vitamin B2 (riboflavin) and an enzyme containing iron. The recommended daily dose of niacin depends on what you are treating. Anywhere from 44 mg – 4 grams of niacin per day. See the full review of Vitamin D3 (Niacin) for complete dosage recommendations. See the main niacin review for prevention of niacin flushing and preferred forms to use to prevent liver toxicity. Vitamin B5 (Pantothenic Acid) is essential for the synthesis of acetylcholine (ACh). Adequate levels of ACh can boost focus, memory, learning, and reduce brain fog. Vitamin B5 is at the heart of the KREBs cycle and electron transport chain which helps convert nutrients from food into energy which is used to make adenosine triphosphate (ATP). ATP is the fuel source within each of your cells. More energy increases mental clarity, alertness, memory and mood. As a precursor in the biosynthesis of Coenzyme-A (CoA), it is involved in the synthesis of the neurotransmitters acetylcholine, epinephrine, and serotonin. Affecting alertness, cognition, memory and mood. Pantothenic acid is often referred to as the “anti-stress vitamin”. Your adrenal glands use CoA (made partly from pantothenic acid) along with cholesterol and Vitamin C to manufacture cortisol and epinephrine. Vitamin B5 has a reputation for reducing stress, anxiety and depression. Foods rich in pantothenic acid include animal organs (liver and kidney), fish, shellfish, milk products, eggs, avocados, legumes, mushrooms, and sweet potatoes. Avocados contain the highest amount of pantothenic acid among commonly consumed foods, with one avocado containing about 2 mg.
As a nootropic, Vitamin B5 is crucial for converting the choline in your nootropic stack into acetylcholine (ACh). Without adequate levels of B5 you will not experience the benefits of using precursors to ACh like Alpha GPC and CDP-Choline. The recommended dosage of Vitamin B5 (Pantothenic Acid) is a one-to-two ratio with a choline supplement. For example, 250 mg of Vitamin B5 with 500 mg of CDP-Choline. When choosing a Vitamin B5 supplement, your basic choice is between Pantethine or Pantothenic Acid. Pantethine is by far the more active choice when it comes to producing CoA. And for stacking with a choline supplement. Recommended dosage of Vitamin B5 is up to 1,000 mg per day. As a nootropic, Vitamin B6 is crucial for the synthesis of these neurotransmitters. Even mild deficiency results in down-regulation of GABA and serotonin synthesis. Leading to poor sleep, behavior, cardiovascular function, and the loss of hypothalamus-pituitary control of hormone secretion. [xiv] And increased anxiety, depression, fatigue and pain. Vitamin B6 has a direct effect on immune function and gene transcription and expression. And plays a role in brain glucose regulation. Vitamin B6 is needed to regulate homocysteine. High homocysteine levels are linked to inflammation that can lead to blood vessel damage. And possible plaque buildup leading to heart attack or stroke. Vitamin B6 concentrations in your brain are about 100-times higher than levels in your blood. B6 is critical to the highly optimized brain. Foods rich in Vitamin B6 include bananas, beef, chickpeas, pistachios, pork, potatoes, and turkey. But the problem is some forms of Vitamin B6 from plants (pyridoxine glucoside) are not very bioavailable. Recommended dosage of pyridoxal 5′-phosphate (P-5-P) form of Vitamin B6 is up to 100 mg per day. P-5-P is the only ‘active’ form of B6 available and preferred for nootropic usage. As a coenzyme, Biotin is required for the synthesis fatty acids for energy production in the brain. [xviii] Lack of adequate Biotin can result in fatigue. You body cannot synthesize Biotin, so you must get adequate amounts daily from your diet, intestinal bacteria or as a supplement. Biotin is found in foods such as organ meats, egg yolks, some dairy products, and some fruits and vegetables. We do not have a recommended daily dietary allowance for Biotin. So you see varying amounts in multivitamin and B-Complex formulas. Biotin is non-toxic and safe to take in reasonable doses. But research has recently shown it wise to stop taking Biotin a few days before blood tests. Because Biotin raises levels of the thyroid hormones T4 and T3 and elevates levels of anti-thyrotropin receptor antibodies. Mimicking Grave’s Disease (hyperthyroidism). Folate deficiency is found in at least a third of those suffering from depression. Folate touches nearly everything happening in your brain. Green leafy vegetables, or ‘foliage’ are rich sources of folate. And how ‘folate’ got its name. You can also get folate from citrus fruit juice, legumes, fortified foods and liver. Many neurohackers, including doctors and other health professionals confuse folate with folic acid. They are NOT the same. For a detailed explanation of why folate vs folic acid is such a big deal, see my full review of Vitamin B9 (folate). It covers how your body uses both compounds. And what happens if you have problems with the MTHFR gene. Folate is critically important for the fully optimized brain. And research shows that folate levels even in the “normal (RDA) range” may be inadequate for methyl donation and neurotransmitter synthesis. Supplementing with folate or a multivitamin with adequate levels of folate may help alleviate depression, improve memory and ward off dementia. Discard or avoid buying any supplement bottle containing folic acid. You need folate or methyl-folate which is the type of this vitamin your body will use. Recommended dosage for Vitamin B9 (Folate) is 500 mcg. Vitamin B12 (Cobalamin) is essential for the synthesis of DNA, RNA and neurotransmitters, the maintenance of myelin sheaths protecting neurons, and red blood cell formation. Vitamin B12 is a cofactor in the synthesis of neurotransmitters dopamine, GABA, norepinephrine, and serotonin. Affecting alertness, cognition, memory and mood. And Vitamin B12 is needed to regulate homocysteine. High homocysteine levels are linked to inflammation that can lead to blood vessel damage. And possible plaque buildup leading to heart attack or stroke. You cannot get adequate amounts of Vitamin B12 from plants. Vegetarians and vegans are especially in danger of B12 deficiency. Regardless of what food and supplement manufacturers say. Plant foods contain analogs of B12 which are similar to, but not the same as, Vitamin B12. They bind to B12 receptors and block your intake of true B12. Trying to get your Vitamin B12 from yeast products like Red Star Nutritional Yeast or Marmite is also problematic. These products do not naturally contain B12 but are fortified with it. Typical recommended dosage for nootropic benefit and optimal brain health is 100 mcg or 1 mg of Vitamin B12 per day. Neurohackers older than 40 and those who have a problem with Vitamin B12 absorption should use 100 – 400 mcg or 1-4 mg of B12 per day. Avoid low quality Vitamin B12 supplements, and B12 found in multivitamins or B-Complex formulas, which is called cyanocobalamin. This form of B12 is not well absorbed and produces a small amount of cyanide in your body (cyanocobalamin). Higher quality Vitamin B12 comes as methylcobalamin or adenosylcobalamin which are the forms of B12 naturally occurring in your body. The B-vitamins are water-soluble. And any excess you take as a supplement will generally be excreted in your urine. This means the B-vitamins are safer to take at much higher doses than RDA. But it also means you need to take them every day. The upper limit of Vitamin B9 as folic acid is 1000 µg/day because higher doses of this vitamin can mask symptoms of Vitamin B12 deficiency. You shouldn’t be using folic acid in the first place. But even excess levels of folate can mask a Vitamin B12 deficiency. The upper limit of Vitamin B3 (niacin) is set at 35 mg in the USA and Canada. Primarily because doses higher than 35 mg can cause flushing. You will not encounter flushing if you use Inositol hexanicotinate (IH) which is an “extended-release niacin” sold as “Flush Free Niacin”. And doses of regular niacin (nicotinic acid) above 1,500 mg per day can be toxic to your liver. Vitamin C (L-ascorbic acid) is a water-soluble nutrient and electron donor critically important for the healthy brain. The active form of Vitamin C is L-ascorbic acid. Vitamin C is a powerful antioxidant, and reactive oxygen species (ROS) scavenger. And participates in the recycling of other brain antioxidants including Vitamin E.
Vitamin C is a cofactor in the synthesis of norepinephrine from dopamine. It induces the release of acetylcholine (ACh) and norepinephrine from synaptic vesicles on neurons which means Vitamin C is involved in neuronal signaling transmission. Vitamin C is involved in presynaptic re-uptake of glutamate. And prevents potential neuron damage from excess glutamate at NMDA receptors. Vitamin C is well-known for its contribution to collagen formation. And is a primary component of the basal membrane in blood vessels contributing to cerebral circulation. Supplementing with Vitamin C improves mood, lowers anxiety, reduces fatigue and helps combat depression. Vitamin D3 (cholecalciferol or calciol) is the fat-soluble steroid hormone form of Vitamin D. The “sunshine vitamin” is considered essential. Your skin synthesizes Vitamin D3 from ultraviolet-B (UVB) sunlight. Vitamin D3 as a nootropic supplement is critical for optimal cognitive health. It’s an integral part of neurotransmitter synthesis, gene expression, DNA maintenance and repair, and the forms of neuroplasticity needed for memory formation and retrieval. Vitamin D3 with Omega-3’s is needed for serotonin synthesis, release and function. Regulating executive function, sensory gating, and social behavior. Vitamin D3 protects against DNA damage through prevention of telomere shortening and inhibition of telomerase activity. And prevents oxidative damage to DNA. Vitamin D is mostly made in your skin from sun exposure. Not primarily from food like most of our other vitamins. You get some Vitamin D from foods like fatty fish (tuna, salmon, and mackerel), beef liver, cheese, egg yolks, and mushrooms. Some foods in the USA are fortified with Vitamin D. It’s added to breakfast cereals, soy beverages, yogurt and margarine. Check the nutrition fact panel on the food label. The Institute of Medicine recommends 4,000 IU per day for Vitamin D3. Vitamin D is fat-soluble. So, make sure you take it with a meal containing healthy fats. Or a tablespoon of extra-virgin coconut or olive oil. To achieve optimal blood levels and for specific dosage recommendations, see Vitamin D dosage notes here. Vitamin E includes a group of eight structurally-related, fat-soluble, chain-breaking antioxidants: four tocopherols and four tocotrienols: α (alpha), β (beta), γ (gamma) and δ (delta). Vitamin E protects cells from damage associated with oxidative stress caused by free radicals. And even the healthiest brain is highly susceptible to oxidative stress. High blood levels of Vitamin E have repeatedly been associated with better cognitive performance. And research shows that high levels of a-tocopherol and Vitamin A are found in the blood of centenarians. Vitamin E is fat-soluble and found in plants, some oils, fruits and wheat germ. The vast majority of Vitamin E supplements are synthetic gamma-tocopherol or alpha-tocopherol which are not the type of these isomers found in food. And useless to your body and brain. Vitamin E can be unsafe when taken in high doses (400 IU or more). Especially if you are dealing with heart disease or diabetes. One serious side effect of Vitamin E is increased risk of bleeding, especially in the brain. High levels of Vitamin E increase your risk for heart failure (in diabetics), worse bleeding disorders, increased chance of head, neck and prostate cancer, increased bleeding after surgery, and increased chance of death after a heart attack or stroke. Your best bet is to consciously get all the isomers of Vitamin E in your diet. If you decide to supplement, recommended daily dose of Vitamin E is less than 400 IU per day. And look for a Vitamin E supplement that is food-sourced with all 8 isomers if you can find it. Several proteins in your brain are dependent on Vitamin K. For example, protein Gas6 is actively involved in apoptosis, mitogenesis, neuron and glial cell growth. And the vitamer MK-4 plays a unique role in the fight against oxidative stress and inflammation. Research into the implication of Vitamin K and brain health is ongoing. But so far it is clear that this vitamin is crucial for the optimized brain. You get Vitamin K2 primarily from meat like chicken, pork, beef, egg yolks, milk and cheese. K2 is higher in meat and dairy products from grass-fed animals. And you get Vitamin K1 from green leafy vegetables. As a nootropic, find a supplement that includes Vitamin K1 and K2 (both MK-4 and MK-7). Natural health professionals recommend at least 2,000 mcg of K2 of which at least 100 mcg should be in the form of MK-7. Most multivitamins contain vitamin and mineral dosages based on the government published ‘Recommended Daily Allowance’ (RDA). In the USA, the most recent RDA recommendations were published in 1968. But there is an inherent weakness in the RDA. Because it’s like the ‘authorities’ attempting to create a shirt that would fit 95 out of 100 people. The minimum RDA of each vitamin and mineral is what the ‘authorities’ considered in 1968 to be the minimum of each nutrient to sustain life. Not necessarily to make you feel great. Just to keep you alive. For the dedicated biohacker working toward optimal health and cognition, we look at the clinical data and how we feel to determine what we need. See my post “How to Select the Best Multivitamin for Brain Function” on what to look for when it comes to quality. And here’s my review of the multi I use every day called: Performance Lab Whole-Food Multi. It contains all 13 vitamins we covered in this post at dosages that my body and brain need every day. Use the recommended dosages in this post as a general guide when reading multivitamin labels. Your body and brain require each of the above 13 vitamins daily for optimal health. Some you will get from a healthy diet; preferably with organic vegetables and fruit, and grass-fed meat products. The remainder must be supplied by supplementing with the right multivitamin every day. 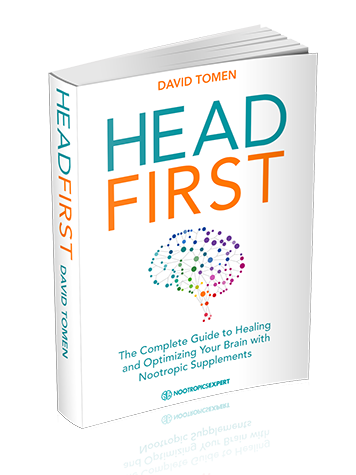 You’ll feel better and your nootropic stack has a more likely chance of providing the benefits you were looking for. Hi David my name is John. I have been unemployed for about 1 year, I previously worked for Uber for 6 months until a rude passenger and combined management made me redundant. Anyway that’s my pity story not needing any sympathy only understanding my journey. 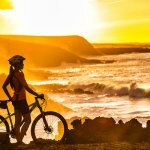 Recently in the last 2 months I have gained momentum in pursuing nootropics. I have known of nootropics for about 2 years now but not realised it could benefit me. I also saw the movie Limitless but thought it fanciful at best experimental. Only now it’s been intriguing me if such supplementation is beneficial for me, if it has potential to help in my reeducation to find meaningful work at 39 years of age. I am mostly sedentary and a house partner doing and helping as much as I can. The rest of the time I am occupied with learning as much as I can as I have found a renaissance of interest and passion for learning and knowledge. This passion is a balance to my evident depressive and ocd reality. Resilience and hope have kept me strong. The discovery of Nootropics I believe may help me obtain peace of mind in gaining meaningful employment but also reducing my anxiety and foggy brain, which contribute to my depression and ocd. I know you are not a doctor and prescriptive knowledge is based on your experience and your research but regarding this you are more knowledgeable than most doctors who I feel subscribe to big Pharma and who’s only interests are motivated only and solely by profit. I plan on ordering OXIRACETAM knowing now it’s maths and logical left brain enhancements but budget limited I retained ANIRACETAM and PRAMIRACETAM. My question is can you suggest tweaks and improvements on these supplements and if inclined stacks from these supplements until such time I can order accordingly and appropriately. THANKS for reading my story, I know there are no miracle pills or quick fixes. 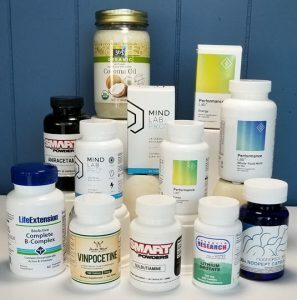 There is nootropics and the science claims and limited studies and anecdotal experiences from healthy people to patients testify to efficacy of nootropics in cognitive functioning and memory improvements. Others like or unlike me turning to nootropics for answers see people like yourself as pioneers in this field. You have a good starter stack but two strong recommendations. Follow the dosage instructions here on Nootropics Expert closely for each supplement or you will not get the best results. And please, please be careful with Phenibut. I would not suggest Phenibut especially when just starting out with nootropics. It is too dangerous especially for anyone with addiction problems. You’ll do more harm that good combining Phenibut with the rest of your stack. You will also find your stack will work better if you add some basic vitamins to it. You need a highly bioavailable food-based multi and a bio-active B-Complex stack with dosages close to what is recommended in the individual reviews for each on this site. I can assure you things will work much better if you give your body and brain all the vitamins and minerals it is begging for. But in a form that it will recognize as “food”. Chris, it is possible a racetam will not provide the intended benefit if you are low on the vitamins and/or minerals needed to synthesize certain neurotransmitters, or are needed for gene transcription, cell signalling, and other functions these nutrients are used for. Depending on the supplement, it’s also possible you could deplete something that is already low. The deeper I get into the neuroscience and how our brain works the more I am humbled by how little we know. And why using something without giving it much thought or doing the research is usually not a good idea. B50 complex did not seem to work very well as a nootropic for me. Thanks. When I take methyl folate, even in the tiniest dose such as 20 mcg, I feel very speedy, anxious and hyper. I feel like I’m crawling out of my skin. Also, when I take a vitamin B complex I feel the same. Do you know why these would make me feel like this? I’ve tried lower doses and still the same. Melissa, a common problem with many people is with the MTHFR gene and its variants. Mutations with this gene can cause very serious problems including bipolar disorder, schizophrenia and major depression. See if you can get tested for this and we’ll go from there. Thank you very much for the good article! I mainly refer to your site to make up my stack to overcome depression. There are more than 20 different supplements in my stack now. I only use iherb.com to buy supplements because it is difficult to buy things from Amazon in my country. Life Extension’s B Complex seems to have disappeared from the list at iherb.com, and in this website, few companies manufacture B complex containing Quatrefolic. So I’ve been taking ‘Jarrow formulas B-Right’ so far for taking B complex. 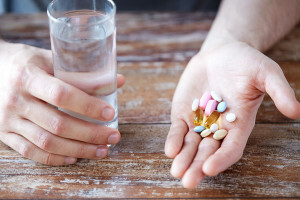 But recently, while reading your article to take SAM-e, I found that some elements of b-light contain very little compared to your recommended dosage. So I’d like to hear your opinion. What more should I add to take SAM-e? B3,B6,B9,B12 – Do I have to add all these? And how much do I have to add each? ( How about taking two capsules of b-light a day for B9 800mcg? ) Even if I don’t take SAM-e anymore, should I keep taking what I added to fight depression? sorry for asking too many questions. Jay, looks like Jarrow has a pretty good B-Vitamin complex. The dosages in that formula are adequate to make sure SAM-e is doing what it’s supposed to without causing problems. The amounts of choline and Inositol are much too low and there to make it look good. The individual dosages for B-Vitamins in my separate reviews are primarily for treating specific cognitive issues. The dosages in the Jarrow formula are good enough for a ‘healthy’ brain. Now that you have your B-Vitamins covered, make sure you getting the rest of the vitamins and minerals your brain needs. And after that tailor your stack to best keep your unique depression under control.